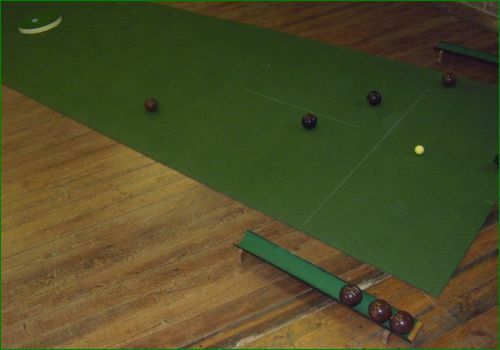 If you like to play Carpet Bowls, or you are keen to give it a try, come along to one of our sessions and see what you think. Everyone is welcome including visitors and those who live outside of the village. We meet every Wednesday at 7:30 p.m. in the Village Hall on Kirkgate. The session usually finishes at about 9:00 p.m. - we have a break in between games for tea and biscuits. The atmosphere is very informal - we are not in any leagues and play no external competition matches so there is no pressure! The playing fee is £1 for the whole evening and an extra 10p (yes, that really is just 10p) for the half-time refreshments! Everything is supplied and you do not need to wear special shoes. carpetbowls@holme-next-the-sea.co.uk or phone 01485 525149.